Get More Info on Winter Thriller Hitman Anime Hakata Tonkotsu Ramens With Three Episode Impression Now Out! Hakata Tonkotsu Ramens is an assassin, thriller manga that was given an anime in celebration of the 25th Anniversary of Dengeki Bunko. 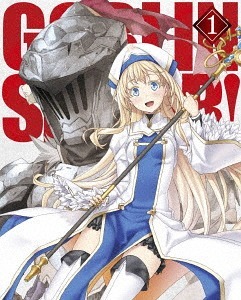 Dengeki Bunko are the masterminds behind series like To Aru Majutsu no Index, Toradora!, Shakugan no Shana, Accel World, Sword Art Online, and many, many more. A crossdressing male character?! I'll take it! It makes for a more interesting conversation. Plus have you seen his moves in the PV? Not to mention too, we have Daisuke Ono and Yuuki Kaji! Ahh!! I cannot wait for this to air! This promises a lot of action. I cannot wait. At first glance, Fukuoka seems to be a peaceful city, however, the underside is rampant with crime. Now, and in the highly competitive business world of hit men, there is an urban legend that a hit man who specializes in killing other hit men exists. 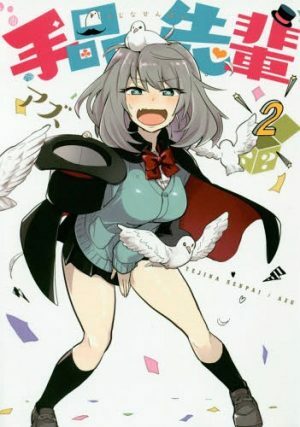 Munekata, Reiko, Shinohara, and Iwanofu are four hit men hired by the mayor of Fukuoka, to eliminate all of these, according to the city, devil humans and protect his position. Lin, a hit man hired by the Kakyuukai, commits crimes in order to pay back his debt and return home to his family. Newbie Saitoh has just been contracted as a hitman from the Killer Contract Company. He finally is given a job, but failed miserably. 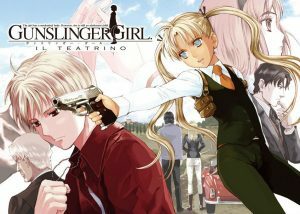 Senji runs a detective agency gathering information and works for the detective Shigematsu as requested to expose the evil deeds of the mayor. Avenger Jiro undertakes requests for revenge and at the same time, carries out revenge alongside requests. Lurking behind the scenes of the mayoral election is a political opposition and dark conspiracy crawling around. And when there is too much evil, the hitman killer will appear. 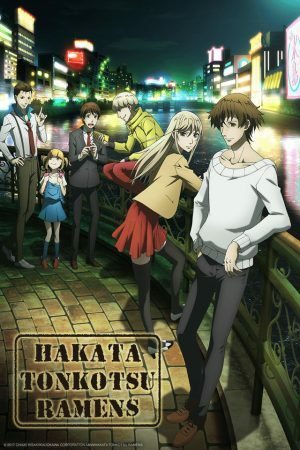 Hakata Tonkotsu Ramens is such a funny little anime that reminds me of the likes of Durarara what with it showing off a certain part of Japan, while also having this rather dark story going on despite the zany cast of characters. It’s pretty interesting to see how these people fell into the life of an assassin, but even more so, I enjoy watching to see how their morals really come out in the anime. You see characters who take on the job of an assassin to help their families while others do it for revenge or just because they found a job posting for it. Hakata Tonkotsu Ramens takes a bit of time for the plot to build, but overall, I’m enjoying it so far and expect big things from this anime. It’s hard not to want to continue to watch in order to root on certains characters. Zenji is a detective that runs Banba Detective Agency in Hakata. He was born and raised in Hakata making him a virile son of Kyushu. Zenji loves pork ramen, mentaiko (walleye pollack roe), and baseball. He is always stooped over. Lin is a hitman contracted by the rising mafia Kakyuukai, and he has undergone training in how to be a hitman since he was nine years old. When he is working, he crossdresses. His specialty is swords. Saitoh is a new employee at the Killer Contract Company, Murder Inc. He was demoted from the main office in Tokyo to the Hakata branch, and he has arrived in Hakata. An informant, he used to belong to an overseas hacking group. His characteristics are his golden-blonde hair and flashy clothing. His stronghold is a net cafe within Fukuoka City. Jiro is an avenger. Formerly a beautician, he changed professions after his lover was killed by a hitman. Unlike how he looks, he is the token effeminate character. He works together with his assistant Misaki, an elementary school student. Misaki is an elementary school student and an assistant to the avenger, Jiro. Ever since a certain something happened in her past, she was taken in by Jiro. She is constantly with him. Shunsuke is the former ace of the Killer Contract Company, Murder Inc. He is a dangerous character who is thirsty for blood. He views Banba as an enemy.